This game-changing flexible tripod redefined lighting and photography by allowing users to connect and mount their gear in new ways. JOBY continues to create innovative solutions that break outside of the box to provide our customers with Empowering Functionality and a Fun Experience. When JOBY launched the GorillaPod in 2006, we recognized the GorillaPod was an innovative product that inspired consumer creativity — but we didn't expect it to become a cultural phenomenon. Photo enthusiasts are constantly seeking new and better ways to capture photos — different angles, new perspectives, stability in long exposure or low light situations, or the simple joy of getting in your own travel shots! JOBY studies consumer behavior closely, and is always thinking about innovative new ways to address the needs of creative and active consumers. How does such a seemingly simple product as the GorillaPod enable such incredible functionality? The magic is in our proprietary "ball + socket" industrial design, which easily solves some complex problems. How can something so lightweight support a camera so heavy? How are the flexible legs able to wrap and hold so tightly? 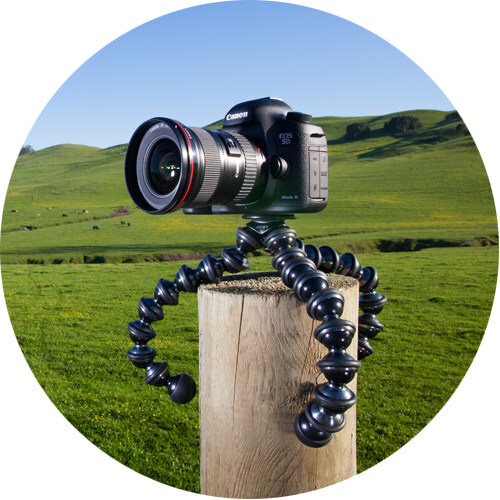 How does the GorillaPod work so reliably time after time, in virtually any environment? We can't share our trade secrets, but rest assured that "tensile/ compressive strength", "friction coefficients", and "weight distribution" are just a few of the sophisticated engineering concepts at work every time you use your GorillaPod. The materials used to create the GorillaPod are some of the very finest available — anywhere in the world. From the medical-grade ABS plastic sourced in Japan, to the TPE Rubber produced in Germany, to our custom-machined Stainless Steel screw — we hand-select the highest quality materials to ensure that the GorillaPod will stand up to the rigors of everyday use. 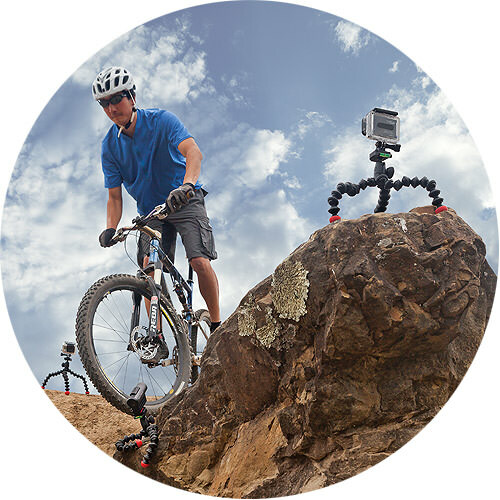 We're so confident in our superior materials that we stand behind every GorillaPod with a one year warranty. No other flexible tripod can say the same. JOBY invests heavily in creating innovative products that inspire consumers, and we occasionally choose to protect these intellectual property investments with patents and trademarks. (US Patents #D574,700, #D576,659, #D589,332) in addition to the international patent issuances we have received in Europe and Asia. We at JOBY have long believed that the proprietary GorillaPod industrial design is a revolutionary, one-of-a-kind innovation that has changed the way that people take photos. CES Innovations Award, and been a finalist for the prestigious IDEA award. In 2010, JOBY was also named #942 in the Inc. 5000 Fastest Growing Companies list.